Located 1/2 Mile West of Bruce, WI. on Highway 8 Bruce, WI Coordinates Lat N 45:27':027" Lon W -91:18':120"
Originally called Verona Junction. this settlement was established at the intersection of the Chippewa River and Menomonie railway and the Soo Line railway. Like many Wisconsin communities, it was established as a railroad crossroads serving the surrounding agricultural community. 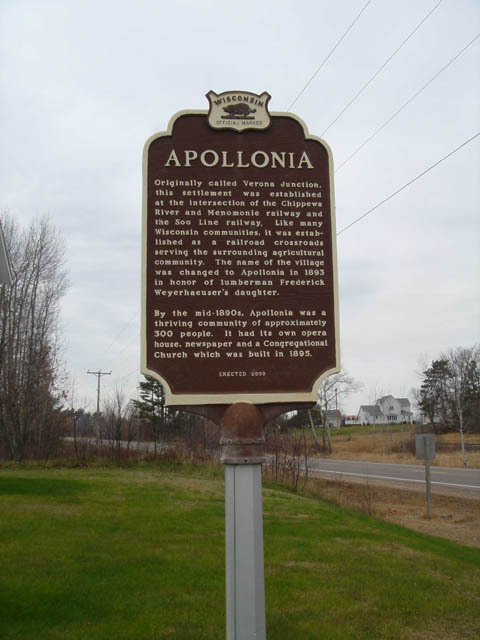 The name of the village was changed to Apollonia in 1893 in honor of lumberman Frederick Weyerhaeuser's daughter. By the mid-1890s. Apollonia was a thriving community of approximately 300 people. It had its own opera house. 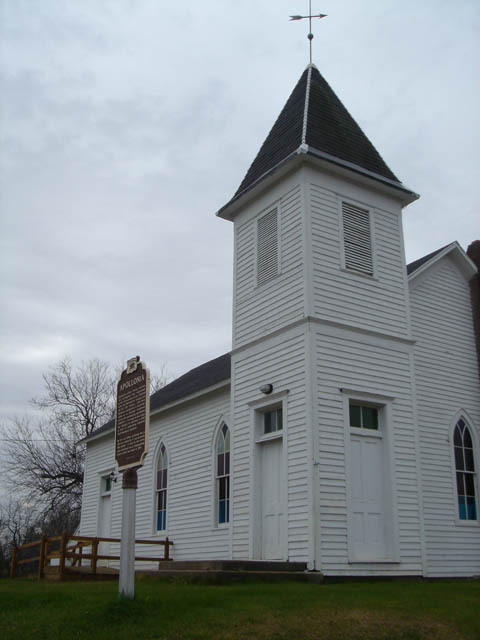 newspaper and a Congregational Church which was built in 1895.